The team are back with their epicurean delight under the moon at its brightest. 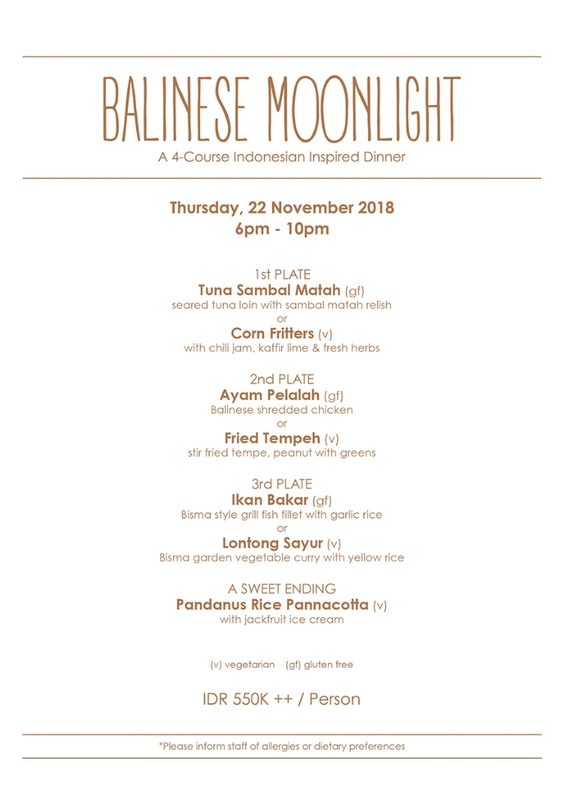 From Tuna Sambal Matah to Ayam Pelalah, from Ikan Bakar to Pandanus Rice Pannacotta, deliciously served to your tables all night. Engage with our team in a traditional Balinese dance performance, a chance to truly immerse in the Balinese arts and culture.